LCD Soundsystem man goes "classic rock"
James Murphy: He'll be doing the sign of the horns soon. 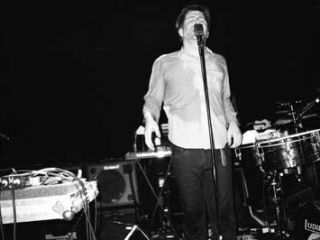 LCD Soundsystem's music usually has a decidedly electronic edge, but main man James Murphy has revealed that his next project will be a more traditional and - dare we say it - less inventive one. Speaking to BBC 6 Music, Murphy said that he's been playing bass with a new band that's signed to his DFA label, and that the album they're working on will be "a rock record, a classic rock record". The line-up features Scott Wells and Paul Sprangers, previous members of a band called Hockey Night, and also LCD's live drummer Pat Mahoney. However, it's understood that neither Murphy or Mahoney will play live. What's more, the new band doesn't yet have a name: "They have a lot of names that we argue back and forth about," revealed Murphy. "I think they try to come up with the worst names possible just to wind me up." Assuming a suitable moniker is eventually chosen - MusicRadar suggests LC/DC - the album should be released in the first half of 2009.